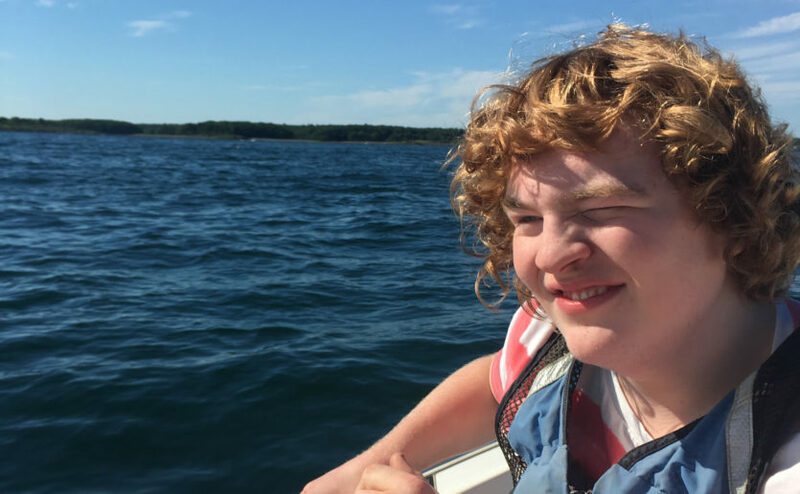 Listening carefully to parents helped an expert MassGeneral Hospital for Children team successfully treat a 17-year-old who has autism spectrum disorder and is nonverbal. All his life, Ethan Datsis, 17, was a happy kid. Although he has autism spectrum disorder (ASD) and is nonverbal, his beaming smile says it all. When Ethan smiles, everyone else follows suit. In late July 2016, his parents, Ellen and Kurt, knew something wasn’t right when their typically bubbly son started crying and trying to make himself vomit. Then, Ethan started hitting his head – a behavior he had never done before. His providers weren’t sure whether to attribute his behavior to acid reflux or ASD. From the moment Ethan became Dr. Salvatore’s patient, the mutual trust between provider and family was essential. Over the next year, the Datsis’s made several hospital trips and received no definitive answers as to why Ethan was in such pain. In that same year, Ethan lost 50 lbs., a result of him eating less and less over time. They brought Ethan to York Hospital where he met Mark Salvatore, MD, a pediatric gastroenterologist at MassGeneral Hospital for Children (MGHfC), who was staffing a gastroenterology clinic in Maine that day. • E-cigarettes and Asthma: What are the Health Impacts? An annular pancreas is when the pancreas (a small organ near the small intestine) forms a partial or complete loop around the duodenum, or upper part of the small intestine. This can cause a blockage that results in difficulty eating and vomiting. In many cases, babies with an annular pancreas show symptoms shortly after birth. In children, teens and adults, symptoms are usually mild. This was not the case for Ethan. From the moment Ethan became Dr. Salvatore’s patient, the mutual trust between provider and family was essential. Eventually, it became apparent that the Datsis’s might need to consider surgery to relieve Ethan’s pain. On July 26, 2017, Ethan had surgery to address the intestinal blockage caused by his annular pancreas, performed by Allan Goldstein, MD, surgeon-in-chief at MGHfC. The results after surgery were almost immediate – no pain, no vomiting and a return of that glowing smile Ethan was known for. To learn more about how you can support MassGeneral Hospital for Children, please contact us. Touch the lives of children and their families ... today and tomorrow.